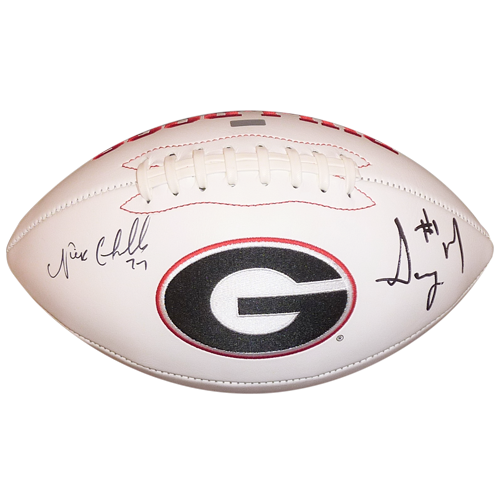 This item was hand signed by Nick Chubb and Sony Michel at a private signing and is accompanied by a Certificate of Authenticity from Palm Beach Autographs and TSE. A tamper-evident hologram will be affixed to the item. Signed items are guaranteed to pass any third-party authentication with 100% Money Back Guarantee. Each signature is witnessed by a member of our staff or comes out of a private signing.